In July I spent two weeks housesitting for some family friends, which gave me a lot of free time to read. 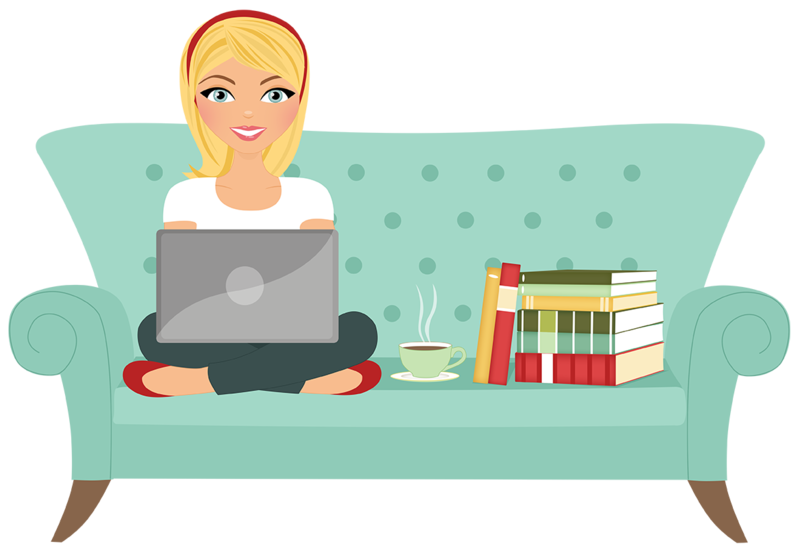 I look at housesitting as a vacation of sorts – I still have to go to work, but the rest of the time is my time, I usually don’t plan many other obligations unless it’s something I want to do. It’s my time to get away, spend time alone and just relax. Most of the books I read this month were read during that two week period. 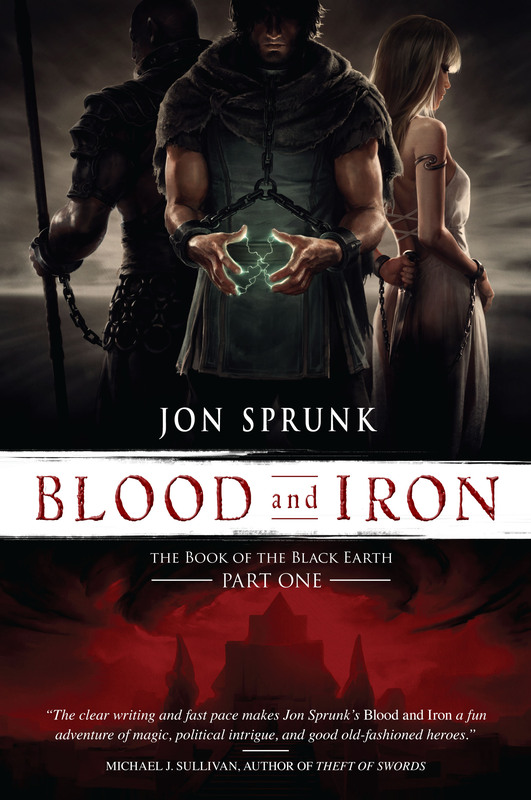 Blood and Iron is the first of a planned four-book series by Jon Sprunk. I will admit I may be a little biased about this book because I’ve met Jon several times and he’s a great guy. (He also said he’s going to use my name in one of his books – I’m keeping an eye out for that, Jon!) I really did enjoy this book, though. The story follows three characters – Horace, who is captured into slavery then discovers he has powers and rises in the hierarchy of his new city; Jirom, a former soldier turned slave who is now part of a resistance; and Alyra a spy who has gone undercover as a slave. The book reminded me of Game of Thrones, except without the intense fear for characters’ lives (at least, so far). If you enjoy that kind of epic fantasy set in other worlds, I would recommend checking this book out. The second book of the series, Storm and Steel, has also just been released. Heir of Fire is the third book of the Throne of Glass series. This series continues to impress me – the third novel especially because Maas completely changes the setting and separates nearly all her characters but it’s still just as engrossing as the first two novels were. For a more in-depth review of this book, you can visit my original post. One of the perks of working in a book store is the ability to borrow books whenever you want. A few weeks ago one of my managers decided I had to read this book, so he signed it out for me, then practically forced me to read it. I’m am so glad he did. The only way I can think of to describe it is To Kill a Mockingbird on LSD. That doesn’t quite paint the right picture, but it’s close. The novel is set in Alabama, summer of 1965 – just a few months after the events in Selma. Half the book is a haunting look at the racial tensions at the time – through the eyes of a 12-year-old boy – while the other half is this insane story about a woman who dreams of being an actess and carries around her husband’s decapitated head in a tupperware salad keeper. If that doesn’t sell you on it I don’t know what will. It’s so crazy, but so good. I loved it. There’s that quote from The Dark Knight, “You either die a hero or you live long enough to see yourself become the villain,” which suggests that all heroes have the capacity to become villains. That quote was circling around in my head a lot as I read this book. The comic series focuses on second generation superheroes and looks at what happens when people with extraordinary abilities decide they’re better than the average human and would run the country better than the leaders already in place. I thought this was an interesting, real-life approach to the idea of superheroes along the lines of Watchmen. Instead of making the world a better place once they’ve taken over, they become like dictators ruling over humanity. 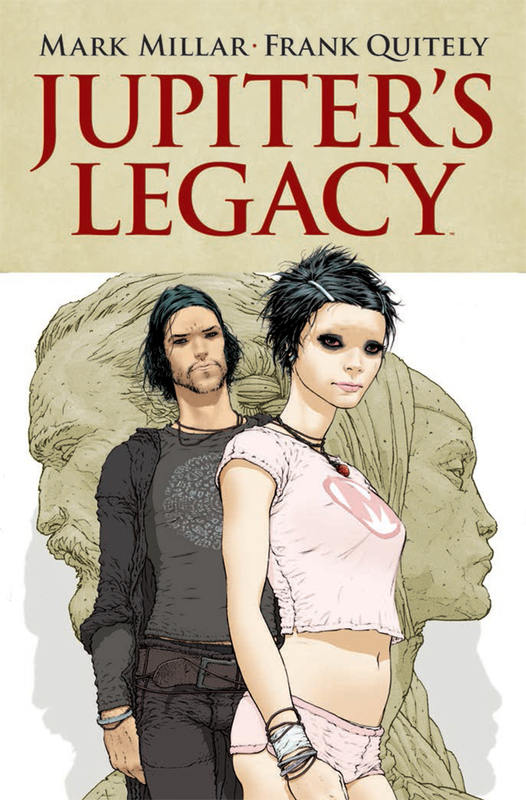 It was an interesting read and I look forward to seeing what happens next in the series. I haven’t read To Kill a Mockingbird since I was in high school, so I decided it would be a good idea to read it again before Go Set a Watchman came out. I discovered that I enjoyed this book so much more as an adult than I did in high school. I’m not quite sure what else to say about this book that hasn’t already been said multiple times over the years, other than this is a book everyone in America should read at least once. If you read this book objectively and with an open mind, understanding that it was revised as a novel normally would have been and it was written prior to To Kill a Mockingbird, then you might be able to enjoy it more than someone judging it more harshly. I thought it was good; you can read my entire review here. I requested an ARC of this book because I though it might be a light and easy YA read. I was wrong. This book was unlike anything I’ve read recently; dark, depressing, bizarre but original and interesting at the same time. The plot is complex and narrative style very different – and doesn’t really start to make sense until about halfway through the novel. You can read my full review here. This book was recommended to me by the same person who recommend The Martian, and since I loved that so much I was excited to read another one of her recommendations. This book was really interesting. It’s post-apocalyptic; a large portion of the world’s population has died from a flu pandemic and a portion of the survivors now deal with a contagious blood disease as a result of the flu. The rest struggle to survive any way possible. It reminds me in some ways of Cormac McCarthy’s The Road, but not quite as bleak in tone. This was a very human story about survival, and making connections to other humans and building relationships. It was well-written and very interesting to read. This was a light, fun read which helped balance out some of the more serious and dark books I’ve read this past month. I really enjoyed it. You can read my full review here. Next postARC August 2015 Has Begun!